Resin skull with Swarovski crystal eyes. Study mounted on laminated black beech shaft and finished with base rubber ferrule. 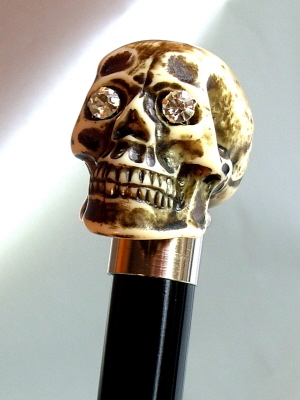 This cane is designed as a collector's cane or for light use. This cane should not be used as a heavy duty disability aid.